Two local people, Pat Brown and Jean Marsden, formed Chipping Local History Society (CLHS) to bring interested people together to share information on local history. The inaugural meeting of the society was held in October 1986 in the newly refurbished St Mary’s Community Centre. Finances were always precarious and photocopying bills became difficult to meet. 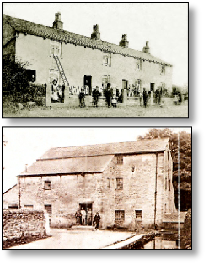 In 1989 the census of Bowland and Legram was published to raise funds for the society. Sales were good and this gave the CLHS the confidence to start other projects. A series of scrapbooks were made with pictures and articles focusing on Chipping. Local residents helped to identify the people and scenes portrayed and began providing further useful information such as newspaper articles, funeral cards, account books and family photographs. This community involvement was the catalyst for the publication of a series on booklets called ‘Longer Sen’ in which people contributed their memories of local life. In 2007 it was decided to use a different format for presenting local history and ‘Chipping in Pictures’ was published. The Society is aware of the sacrifice made by members of our armed forces and has published ‘Debt of Honour’ commemorating people from the Chipping and Whitewell areas who gave their lives in the major conflicts of the 20th century. CHLS is also interested in oral history with early members of the society recording their memories on tape - a copy is held at the St Mary’s Community Centre. 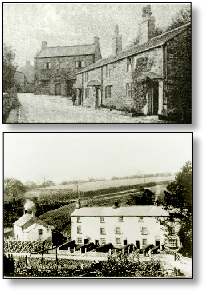 More recently a group of members visited older residents in the village to record their memories of Leagram. The North West Sound Archive in Clitheroe now holds these tapes. Mrs Lincoln, a descendent of Peter Walkden, informed the CLHS that Chester City Library had a manuscript of Peter Walkden’s diary for 1733-34. The diary was temporarily sent to Lancashire Record Office in Preston so that members could transcribe it. In 2000 CLHS published their work in a book entitled ‘ The Diary of the Reverend Peter Walkden for 1733 - 1734’. Members have visited local clubs, schools and societies acting scenes from the diary. Individual research, which is shared with others, has always been important to the society. In 2008, Frances Marginson, and Helen Wallbank published their research in the book ‘Old Sheepwashes of Bowland and Chipping’. Monies raised by sales have been used to help buy new computer equipment. The Society has organised exhibitions and joined with other local organisations to put on such events as the Homefront Recall afternoon, which gave opportunities to experience the food, costume and music of World War II. Today CLHS is thriving and continues to develop. For instance, our web site was created in 2008. CLHS has a membership of more than 50 people and meets regularly from October to April for a series of talks. During the summer there is a full programme of visits and walks. Our archive is available for private study, at St Mary’s Community Hall, Longridge Road, Chipping on our Open Days on the first Sunday of the months of February, April, June, August and October, between 2pm and 4pm, and at other times by prior appointment. Members are on hand to assist visitors in their research and share items of interest.